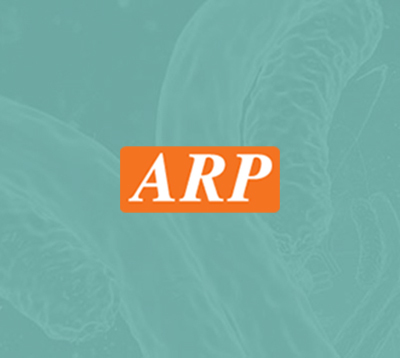 PDE6D, 1-150aa, Human, 01-1831 | ARP American Research Products, Inc.
Human PDE6D was originally identified as a fourth subunit of rod-specific cGMP phosphodiesterase, PDE6. Catalytically active PDE6 is a heterodimer (alphabeta) that is regulated by two inhibitory gamma subunits. 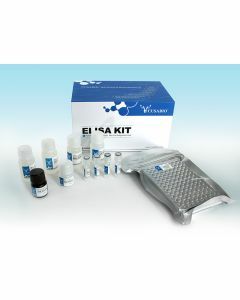 As PDE6D does not modify the catalytic properties of PDEalphabeta, its function is still unresolved. Recombinant human PDE6D, fused to His-tag at C-terminus, was expressed in E.coli and purified by using conventional chromatography techniques. Zhang H., et al, (2007) Proc Natl Acad Sci U S A. 104(21):8857-62. Dekomien., G. et al. (2003) Genet Sel Evol. 35(4):445-56.